At long last, we can browse H&M online. But we still can't purchase anything. I think this is more of a tease than anything. I don't know what I'm going to do when they are selling online. My spending freeze will be shot!! Oh my goodness. That is such a tease. Not fair. But I heard they're coming online for shopping at the end of this year. I heard they're doing online shopping at the end of the year too. I'm not sure how I feel about it. I would be so happy but I may have trouble with my clothing budget. So cute !! I hope they sell on their website soon !! Love H&M! I used to live in NYC and it was so nice to be able to shop there!! I would be so excited to be able to buy online! Just found your blog and am now following! Love your name! I don't think I go many days without a cardigan! I want H&M online so badly! I can never find the cute stuff in their store. ahhh, H&M is awesome!! i wish we had one in houston. 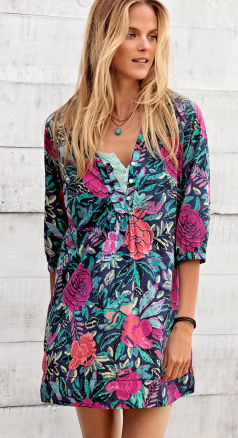 That printed tunic is gorgeous. Oh my gosh-- I've been stalking that yellow dress so much since they first released the pictures that I missed all the other pieces! So gorgeous!